Scroll through the page below to view our delicious recipes or click on any of the categories below to go straight to that section! Receipes for the most important meal of the day! Perfect for breakfast or dessert. You will love this moist, decadent cake! *seasonal blend only available in Fall and Winter months. Check back soon to purchase! This crazy love-child of a biscuit and a pancake is better than buttermilk. 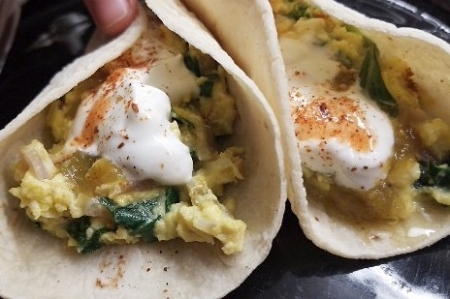 Spice up your morning with our tasty breakfast tacos! Try these delicious recipes to help get you through your day! Great for those busy afternoons or make-ahead meals! Find yourself in a rush for lunch or dinner? Try this quick and easy ramen recipe. Toss that gross flavor packet and use our Korean Red blend to create a new, healthy twist on this popular soup. Feel free to customize this recipe by adding your own veggies or meat to this dish! 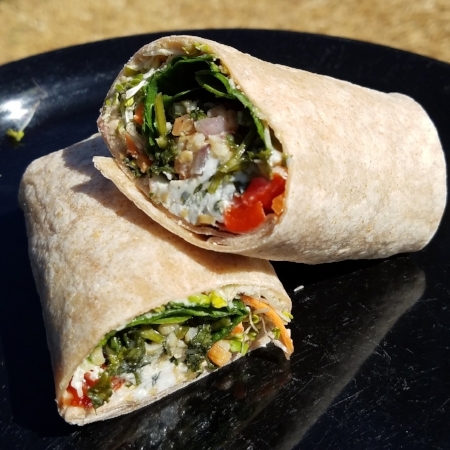 Light, yet filling - this quick and easy wrap recipe will keep you full til dinner time. Not sure what to do with those taco leftovers from last night? Check out this recipe for a simple taco salad that will blow your socks off! Quick easy and packed with protein! Change things up and use any of your favorite vegetables in this recipe. Recipes, perfect for the whole family! Not sure what to make for dinner tonight? Try this easy and TASTY chicken and rice recipe! It's like fried chicken and broccoli cheddar soup had a delicious baby smothered in cheese. Have leftover cooked chicken and you're not sure what to do with it? Give us 10-15 minutes and you'll have this tasty meal ready in a flash! Try this delicious pork loin recipe, crusted with our Herb-ivore Steak Seasoning. Yes, we said steak seasoning - just trust us! In search of that perfect starter or side to go with your meal? Look no further, here they are! Try this dip at your next cookout, it will not disappoint! Enjoy hot or cold, this dip is creamy, cheesy, with just the right amount of spice. 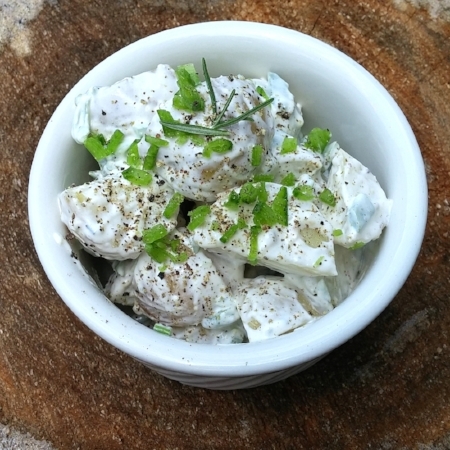 Try this recipe for a simple, yet elegant twist to traditional potato salad. Perfect little crunchy bites of fresh okra, paired perfectly with a sweet and spicy yogurt dip. Did we use the word perfect enough? 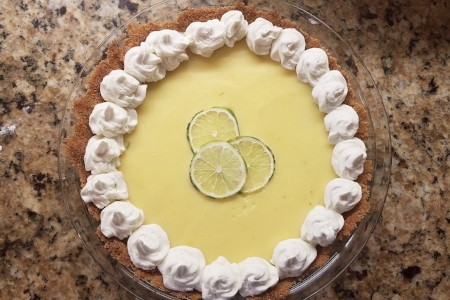 Our tasty twist on the classic Key Lime Pie. This recipe makes 2 pies so cut ingredients in half if you only want to make one. Not sure why you'd want to do that though...2 pies are always better. This quick and easy ice cream is the perfect treat for the kids or for yourself! 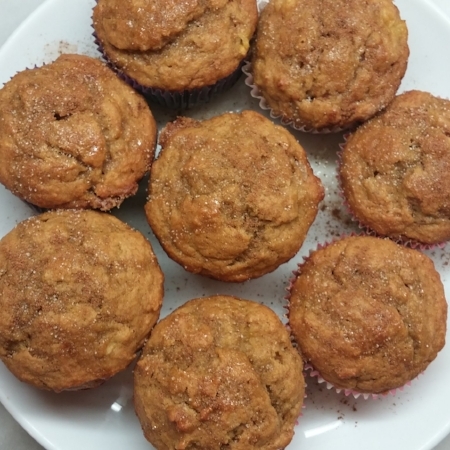 Delicious muffins perfect for breakfast or dessert. Try with a scoop of vanilla ice cream! *seasonal blend only available during Fall and Winter months. Check back soon for availability!